Just off the press, Twitter is shutting down Vine, it’s short video format service. Twitter had acquired Vine in 2012 and had been trying hard maintain it growth recently. One of the earliest entrant in short video format space, which is now occupied by the likes of Snapchat & Instagram, Vine did have a fair share of stardom. So much that it had an entire movie Chef, dedicated to it. But with launch of Instagram stories, it hardly had any traction. That is proved by the fact that Vine was once the no 1 App on iOS but has recently fallen below 200. 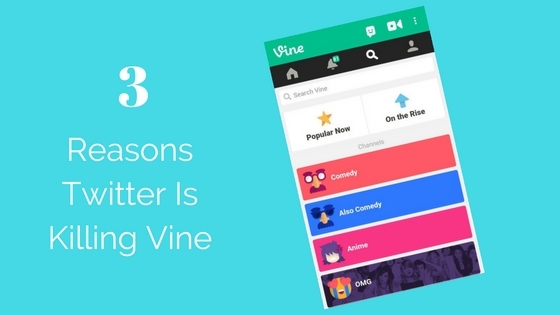 Since 2013, millions of people have turned to Vine to laugh at loops and see creativity unfold. Today, we are sharing the news that in the coming months we’ll be discontinuing the mobile app. That does mean that we could still see the app around for some time before (if they wish) it’s killed completely. We can probably attribute the shutting down of Vine to the recent layoffs at Twitter and also to the lack of innovation to either Vine or Twitter. Vine had it’s own stars and they did have the first mover advantage but the subsequent launch of Instagram Videos and lack of any new features worked against Vine. The other reason, we can attribute is probably the lack of any revenue stream. Twitter’s current challenges are primarily lack of revenues and they couldn’t possible keep a team engaged for a platform that contributes no revenue. The third reason could be that Twitter wants to leverage the current video capabilities of Vine and put that to good use for Periscope, which is coming with new features regularly. Should Twitter only look at cash cows for now? Will we see Vine stars moving to Snapchat, Instagram? An author, speaker, blogger and digital media strategist, at my day job I work on devising and executing various digital media campaigns. I usually blog about content strategy, social media platforms, product reviews and tricks to ace Social Media. Let's collaborate over @MalharBarai (Twitter) and other platforms.